Terminal Apron and Taxilane Expansion. Credit: Metropolitan Nashville Airport Authority. The Metropolitan Airport Authority (MNAA) has awarded two major construction projects as part of a renovation and expansion plan for Nashville International Airport (BNA). Hensel Phelps has secured a $203m design-build contract for Concourse D and terminal wings expansion project. Eutaw Construction Company won the terminal apron and taxi lane expansion project. Hensel Phelps will be responsible for reviving and expanding BNA’s fourth concourse and expanding the existing check-in and baggage claim areas. The new Concourse D will house 115,000ft² of space with six domestic aircraft gates, dining and retail options and a central utilities plant. 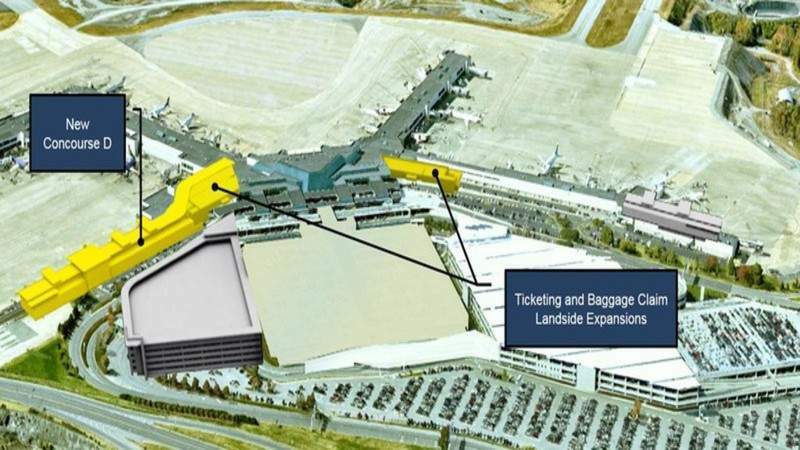 As part of this project, 80,000ft² of additional space will be added to the north and south ends of the terminal, which will expand the check-in hall and add four luggage carousels. MNAA president and CEO Doug Kreulen said: “We are eager to bring Concourse D back to life with commercial air service, as well as add capacity to our ticketing and baggage claim levels. Eutaw has won a $23m contract to provide more than 500,000ft² of additional space for aircraft by the terminal. The project is due to finish next year. The expansion will require more than 55,000 dump truck loads to fill in a 50ft hole in the ground.